13/11/2016 · This video is very short and about the MySql Connection with Visual Studio 2015 Pro 30 Days Evaluation. So,to get add the reference of MySql.Data in Visual Studio VB Project please watch the video... 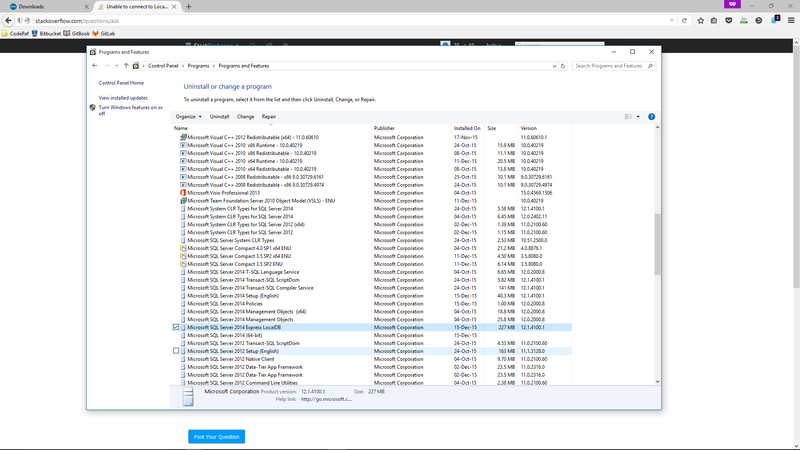 Select Add Connection from the context menu Change Data Source to Microsoft SQL Server Database File (i.e. LocalDB) Set the Database file name by entering a database name and path that corresponds to the name in the web.config / app.config connectionstring. Open Visual Studio, create a Web Site, and click on Tools --> C onnect to Database option. Add a new data connection from . the Server Explorer window. Enter Server Name and user credentials then select the database and click on Test Connection. If the connection is successful then click on Advanced; that will open the properties window. Below the Data Source you can find the actual Connection... 3/12/2016 · HOW TO MYSQL DATABASE CONNECTION IN ASP. NET WITH C# USING VISUAL STUDIO 2015?BY PROGRAMMING HINT. 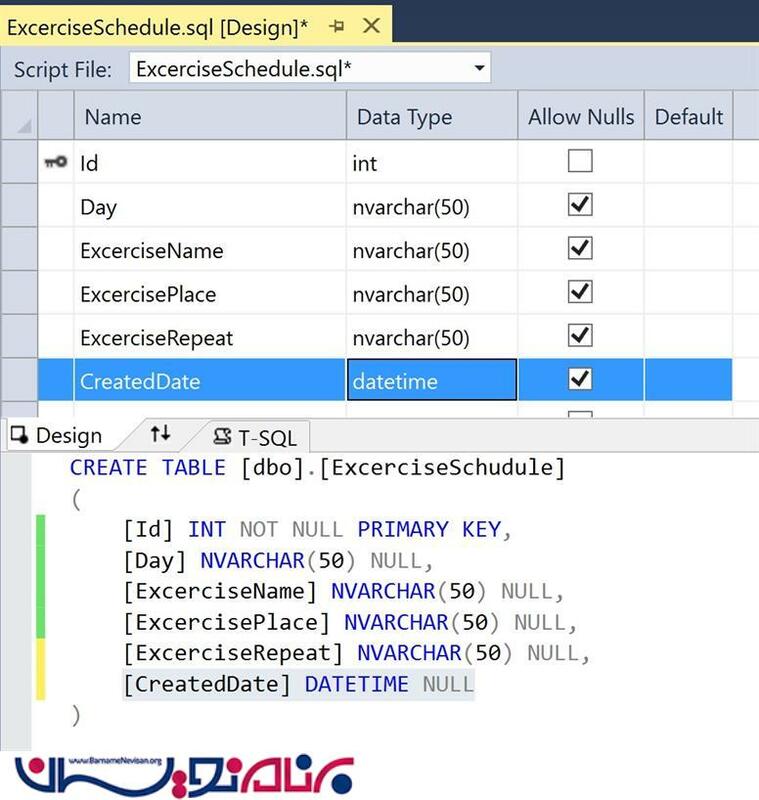 11/08/2015 · So with Visual Studio 2015 and new LightSwitch projects the linking to SQL Database Projects is back working as it should! Another sign of continuing maintenance support for LightSwitch. Another sign of continuing maintenance support for LightSwitch. how to add canon printer to laptop Maybe try using a connection string to the data source instead? If I have a data source with the name "DataSource" the connection string would be "Dsn=DataSource". 3) Right click on "Data Connections" and select "Add Connection". 4) Enter the Server Name in the first textbox (do not use the drop down box). MS SQL Server name can be found in the database manager section of the control panel. Select Add Connection from the context menu Change Data Source to Microsoft SQL Server Database File (i.e. LocalDB) Set the Database file name by entering a database name and path that corresponds to the name in the web.config / app.config connectionstring. Maybe try using a connection string to the data source instead? If I have a data source with the name "DataSource" the connection string would be "Dsn=DataSource".